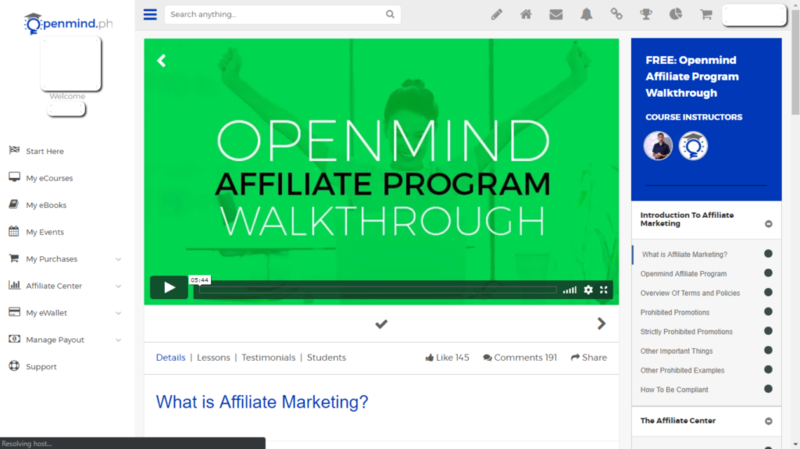 What is the importance of enrolling to the eCourse “Openmind Affiliate Program Walkthrough”? 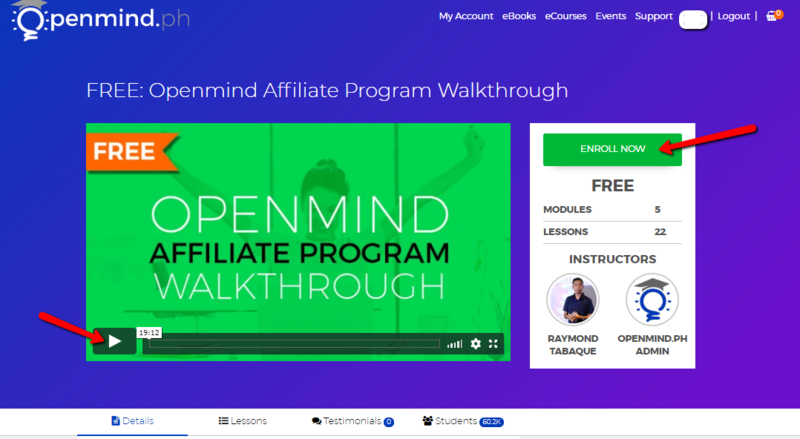 You will learn how the Openmind Affiliate Program works. 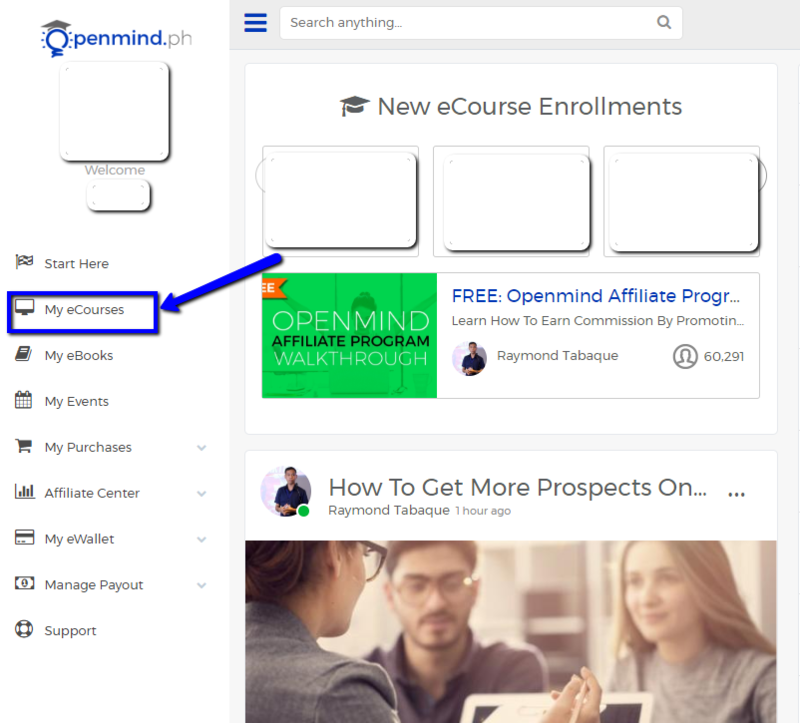 You will know what is inside your Openmind account and how to navigate them. 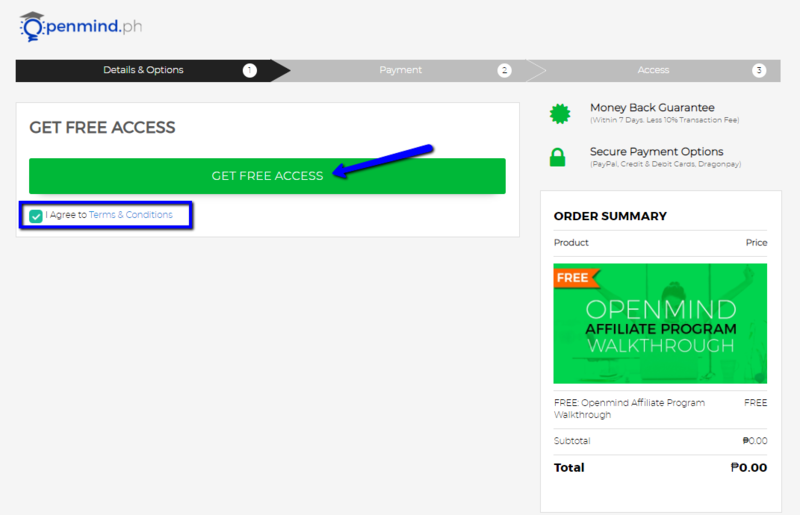 You will learn how to use your affiliate links and the right way to promote your links. Step 3. 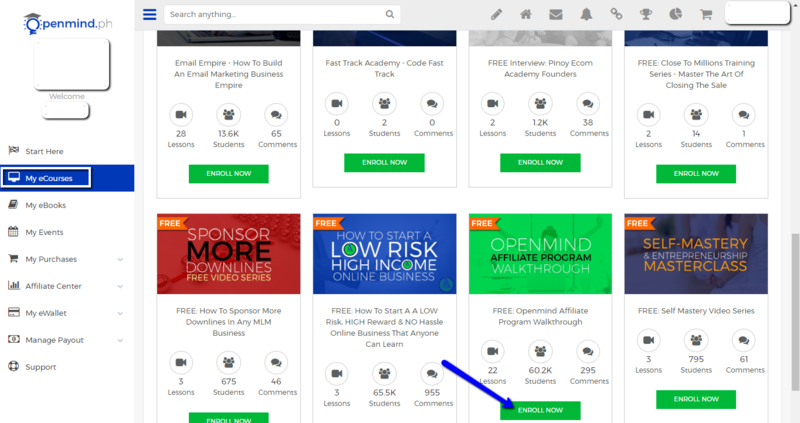 Select the eCourse titled “Openmind Affiliate Program Walkthrough” from the list of eCourses and click “Enroll Now“. Step 4. 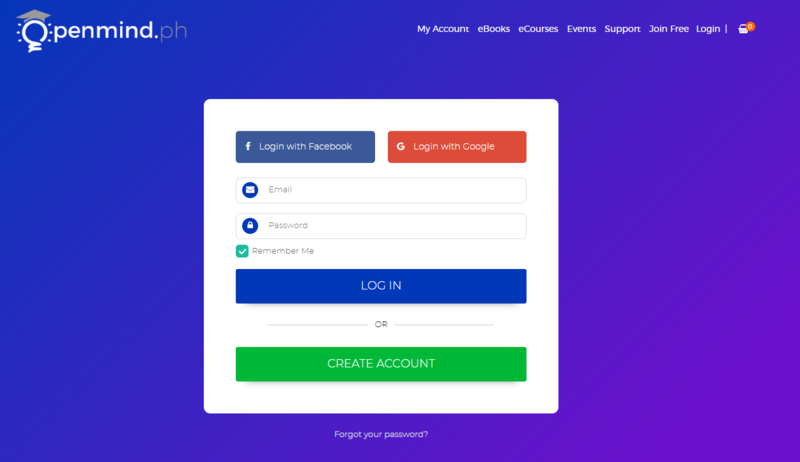 Watch the introduction video then click the “Enroll Now” button. Step 5. Click the check box for the “I Agree to Terms and Conditions” then tap the “Get Free Access” button. Step 6. You can now watch and study the entire eCourse. What are the Types of Incentives I can Achieve? Sir sobrang interesado poh ako mg enroll ,OFW poh ako dito sa Hong Kong. 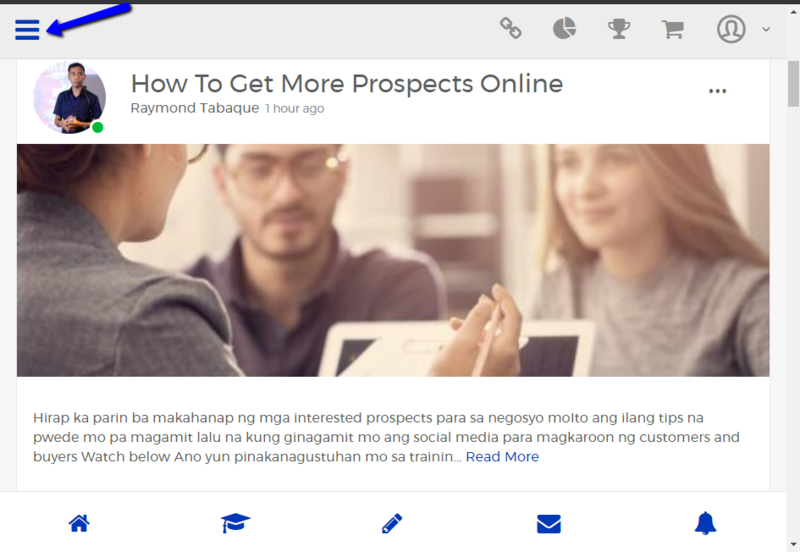 May ibang paraan poh ba pramkpagbayad mliban sa paypal,dragonpay at vissa ?